"We're not top 10 in anything," said a former education secretary who is calling out politicians for creating a public education system that "runs on lies." Typically, when Americans hear someone say that the education system in the United States “runs on lies,” they would expect the statement to come from a disgruntled parent or student—but now it is coming from the former Secretary of Education, as he admits that the U.S. lies to families on a daily basis by promising them a quality education through public schools. Arne Duncan, who served as education secretary for the Obama Administration, now appears to be calling out all sides of the spectrum for failing to prioritize the next generation. In an interview with CBS’ Face The Nation, Duncan argued that politicians are never held accountable for failing students and teachers. “As a nation, we’re not top 10 in anything,” Duncan said. 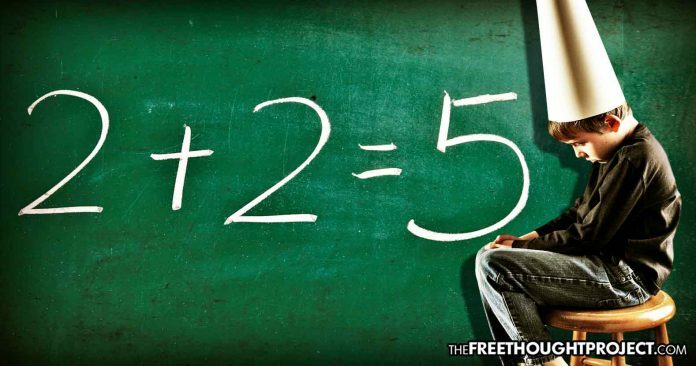 And he has a solid point—the U.S. Department of Education released a troubling set of statistics in May, which showed that the majority of eighth graders in public schools are not proficient in reading or basic math. According to a report from the National Assessment of Educational Progress (NAEP), only 34 percent of eighth-grade students in American public schools were proficient in mathematics in 2017. That number varied by state, with proficiency rates as high as 50 percent in Massachusetts and as low as 17 percent in Louisiana. The reading report from NAEP revealed that last year, only 36 percent of eighth-grade students in American public schools were proficient in reading. That number also varied by state with proficiency rates as high as 49 percent in Massachusetts and as low as 24 percent in New Mexico. Duncan also noted that the U.S. has “raised a generation of young people and teens who have been raised on mass shootings and gun violence.” While he said that the U.S. is set apart from other countries because it does not value its teachers and its students through funding or care, he is one of many government officials to claim the answer can be found in new gun control legislation. However, Duncan did not address the fact that many of the suspects in school shootings struggled with depression and anxiety and were prescribed powerful, addictive psychotropic drugs that came packed with a host of dangerous side effects, including aggression, violence and suicidal tendencies. Duncan also did not mention that a significant portion of the violence that is seen is public schools is perpetrated by the same individuals who are tasked with keeping students safe—the school resource officers who are stationed on campus. As The Free Thought Project has reported, there are a number of incidents in which officers were caught on video assaulting mentally ill and disabled students, assaulting students for wearing the wrong uniform to school, and assaulting students who posed no threat to them or anyone else. Many state laws require that schools notify law enforcement whenever a student is found with an “imitation controlled substance,” basically anything that looks like a drug but isn’t actually illegal. As a result, students have been suspended for bringing to school household spices such as oregano, breath mints, birth control pills and powdered sugar. Former Education Secretary Duncan is spot on when he says that the U.S. government’s “values don’t reflect that we care about education or we care about teachers or that we truly care about keeping our children safe and free of fear.” However, the truth is that in order to fix these problems, it is going to take a complete overhaul of the education system and the “prison” it has become—up to and including dissolving it entirely—and that will never come from politicians who care more about appeasing lobbyists than the fragile minds and lives of the next generation.